Maialino is one of my favorite spots in New York for delicious, simple Italian-inspired cooking. 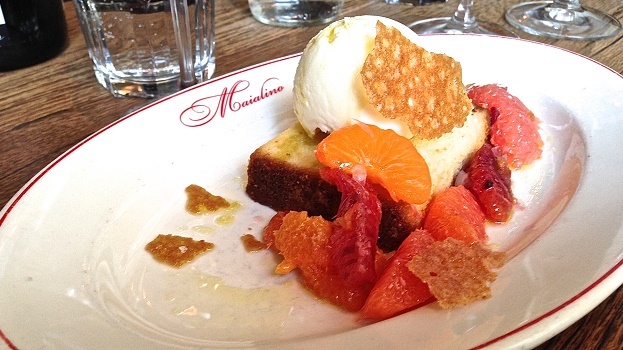 But don’t be fooled by the informal ambience; the food and wine at Maialino are top-notch. 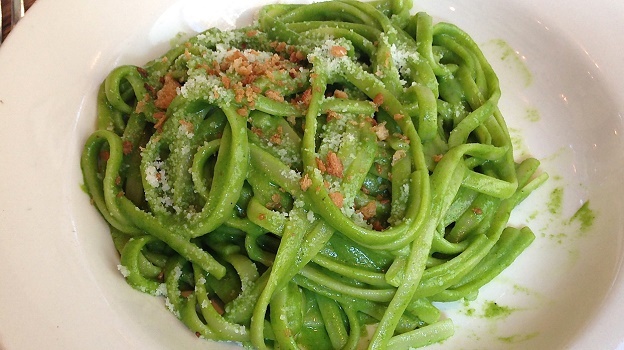 Danny Meyer’s ode to the Roman trattoria, Maialino seems to hit all the right spots. While the menu does draw on a number of classics, it’s more the spirit of the place that I have always enjoyed most. Executive Chef Nick Anderer’s food is simple and bold, but never overdone. Best of all, this is food that really comes alive with a great bottle or two. 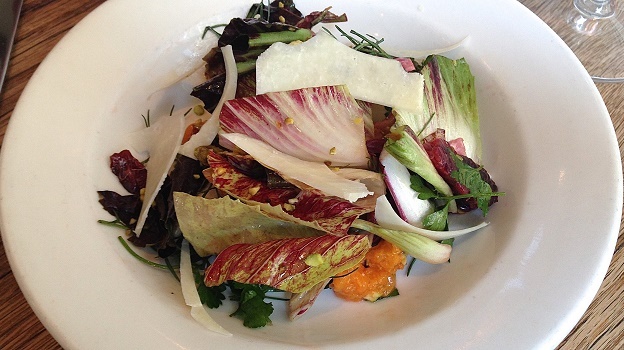 The mixed radicchio salad is light and flavorful, while the trenette is a delicious take on a classic. Wine Director Jeff Kellogg has put together a fascinating list with something for every palate and budget. A collection of Vallana Gattinaras back to the 1950s is not exactly something you see every day. I am also tempted by the various Brovia Barolos. The selection of Cappellano Barolos is even more enticing for many reasons, including the sheer rarity of these wines. If money is no object, I might choose the 1982 Bartolo Mascarello Barolo ($695), one of the bottles that first led me down the path of total infatuation with Nebbiolo and Barolo many years ago. Or maybe Quintarelli’s 1997 Alzero ($575), one of the most exotic, intense Italian wines I have ever tasted. A handful of vintages of Rampolla’s Sammarco demands serious consideration. But wine does not have to be expensive at Maialino, which is one of the things I love here most. The ‘Vini di Trattoria’ section of the list highlights a number of gems, including Manni Nössing’s 2013 Kerner ($48), Ciro Picariello’s 2013 Fiano di Avellino ($59) and 2010 Socré’s 2010 Barbaresco ($76). Ultimately we settle on bubbles. It is lunch, after all. Jérôme Prévost’s NV (2012) Rosé Fac-simile is flat-out delicious. In this vintage, the Fac-simile is decidedly lifted and understated in style, with gorgeous aromatics and lovely overall balance. The Pinot fruit is incredibly expressive, but the 2012 is not a wine of impact, rather it is a Champagne that draws the taster in with its total allure. Prévost only makes his 100% Pinot Meunier Rosé Fac-simile in top vintages, which makes it one of Champagne’s rare birds. After the disappointing 2011, the 2012 put things back on track. 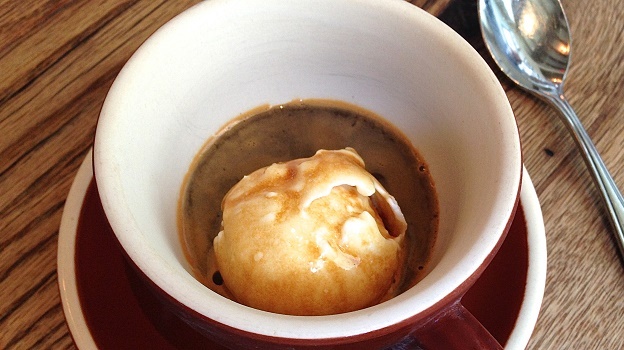 I am not a big dessert fan, but I can’t resist a good Affogato, another staple of the Italian kitchen. The pound cake is equally delicious, with striking contrast between the bright citrus flavors and the richness of the cake. With that, it’s time to venture back into the harsh New York City winter, refreshed and ready for whatever the afternoon brings.